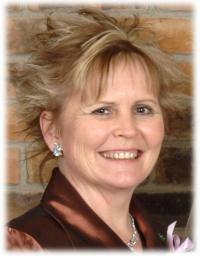 On June 24, 2011, Mrs. Shelley Ann Conway, of Edmonton, passed away at the age of 54 years. She is survived by her loving husband Andy, six children, Jason (Lecia) of Edmonton, Patrick (Andrea) of Calgary, Emma, Rosie, Anna and Jazzie, all of Edmonton, and grandchildren, Grayer, Cooper, Gibson and Elliott. Shelley also leaves her father Ron Hartt of Edmonton, two brothers Al (Sandra) Hartt of Sundre, AB, Rick (Brigitte) Hartt of Alix, AB, and one sister Joy (Greg) Weder of Clyde, AB. She was predeceased by her mother Beverly Hartt. A Celebration of Shelley’s Life will be held at Richmond Park Church, 9340-69 Avenue on Wednesday, June 29, 2011, at 11:00 a.m. with Pastor Brad Olson officiating. In memory of Shelley, donations may be made directly to: the Alberta Cancer Foundation/W.W. Cross, 710, 10123-99 Street, Edmonton, AB T5J 3H1.